MPs are pressing the Treasury Select Committee to open an immediate inquiry into the alleged forgery of signatures in bank court documents. They also want Lloyds chief executive Antonio Horta-Osorio to be questioned over how the bank treats customers who say they have found evidence of systemic fraud. The all-party group on fair business banking says Lloyds appears to be repeating the same conduct it displayed towards customers who uncovered the HBOS Reading fraud, seeking to silence them. Lloyds has denied there is evidence of systemic fraud and said it "does not recognise the issue" as set out by the group of MPs. Kevin Hollinrake MP, chair of the all-party group, made the call for an inquiry after getting what he says was an unsatisfactory response from the bank. Mr Hollinrake cited a letter from the customer pointing to signatures on statements of truth which were used in proceedings to repossess homes. Handwriting experts confirm that signatures purporting to be from the same person, appeared to be constructed differently, supporting the allegation that different people were signing them. Adam Brand, an expert witness on handwriting and former president of the Institute of Graphologists, told the BBC the construction of the signatures was different. "If you look at them you've got a sort of fading on the one at the top which is different to the one at the bottom, which starts differently and finishes differently. My reaction is I would agree that the signatures are differently constructed. "The customer's husband, Julian Watts, wrote to non-executive directors of Lloyds in 2016, after discovering seeming discrepancies in signatures used in repossession proceedings.He also asked the bank to provide signature comparison information to test if the signatures were forged. Mr Hollinrake said a week after non-executives received the letters, Lloyds recommenced litigation against the customer after a gap of six years. Lloyds then allegedly offered, repeatedly, to withdraw the litigation if the customer signed a non-disclosure agreement (NDA). The customer refused.Mr Hollinrake wrote to Mr Horta-Osorio demanding an explanation, accusing Lloyds of attempting to silence its customers. "Lloyds refused eight times to provide signature comparison information which would confirm whether or not signatures were being forged on Lloyds court documents. There are some extremely serious questions which, as Group CEO, you personally need to answer," he wrote. "Why did Lloyds offer four times to withdraw the litigation if the customer signed an NDA, gagging her from talking about fraudulently forged signaturesMr Hollinrake's letter also asked: "Why did you, as CEO, and Lloyds board refuse to conduct an audit of signatures on Lloyds court documents… despite being fully aware of the identical issue of alleged forged signatures on US bank court documents? "He reminded the Lloyds chief executive of a scandal in the United States where widespread signature forgery led to banks being fined by attorneys general and forced to compensate customers at a cost of $25bn (?19bn). 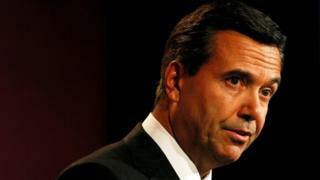 The Lloyds chief executive delegated the reply to a subordinate, who replied to Mr Hollinrake that "we simply do not recognise the issue as you set it out… to the best of my knowledge there has been no suggestion of a similar issue in the UK over the years since the US issue arose. "He added: "You repeat your allegation about Lloyds attempting to 'silence customers' who allege fraud by 'using NDAs to gag customers'. This is untrue. Our proceedings or agreements with customers do not prevent them raising any concerns, issues or evidence with the police, FCA or any other lawful authority." But Mr Hollinrake says his questions still have not been answered by the Lloyds chief executive. In a letter urging a Treasury select committee inquiry, the all-party group says: "My concern is that Lloyds corporately, and its chief executive personally, are now demonstrating a persistent course of conduct that when asked questions by members of parliament, they routinely refuse to answer them and when asked for a personal response, Mr Horta-Osorio continually refuses and evades personal responsibility." The BBC asked Mr Horta-Osorio for a personal response but none was forthcoming.In a statement, Lloyds told the BBC: "Whenever concerns are raised, we take them very seriously, but there are no foundations to the allegations raised by Mr Hollinrake. We have reviewed the allegations raised, which relate to an individual customer and can confirm that all the details within the court documents were accurate and signed off by the appropriate person where necessary. "Where we have reached a settlement with third parties, including customers, the agreement never restricts them from raising concerns, issues or evidence with the appropriate authorities, including regulators and police, and they have always been able to do so." The Bank Signature Forgery Campaign has identified further examples in addition to the Lloyds customer concerned, including signatures from Lloyds and other banks. MPs on the All-Party Parliamentary Group on Fair Business Banking announced their support last month for the Bank Signature Forgery Campaign, which is calling for anyone who suspects forgery of signatures to contact them. "The APPG receives frequent and consistent representations from constituents over the forgery of signatures, so this campaign will provide a vital method of gathering evidence of possible signature forgeries by UK banks in court documents," the APPG announced. The MPs are calling on all bank customers to send examples of signatures on bank court documents, whether or not they believe they are suspect, to the Bank Signature Forgery Campaign. In the United States, reviews of documents by local county legal departments found thousands of suspect signatures dating back to 1998. In the foreclosure fraud scandal, so-called 'foreclosure mill' law firms set themselves up to process repossession claims in volume, both for homes and other secured loans such as cars. Ordinary homeowners facing foreclosure - the US equivalent of repossession - had uncovered violations including "robo-signing", where low-paid employees would routinely sign documents at speed attesting to their truth - when they could not have had time to read them.Mr Watts has questioned whether banks and their lawyers have been using the same cost-cutting business process. The All Party Parliamentary Group on Fair Business Banking has said it receives frequent and consistent representations from constituents over the possible forgery of signatures. Multiple examples have been discovered across the banking sector by the Bank Signature Forgery Campaign. The following signature appeared on a witness statement. It starts near the centre, writing right to left before looping up and around. Asked if the above signatures could be from the same person, Mr Brand said "absolutely not". Further evidence suggests one person has been signing under more than one name.